♥ Have you heard about Blu Dot’s Swap Meet, where you can trade your amazing talents or odd collections for your very own piece of Blu Dot goodness? So fun! ♥ Justin’s comprehensive post about how to clean thrift finds is so. super. helpful. ♥ As someone who struggles often with a too-full plate, I found this positive perspective on burn-out good food for thought. ♥ I blogged about my love for Sally Hansen Polish Strips over on Beauty Bets this week. Check it! ♥ Since we’re talking beauty, I can’t wait to try this easy braided updo Casey from Elegant Musings blogged. She has the best vintage-inspired hair tutorials! ♥ And, with the anniversary of her passing upon us (March 5), let’s all take a minute and listen to Patsy Cline. This entry was posted in Uncategorized and tagged clickin' around, Patsy Cline by highplainsthrifter. Bookmark the permalink. Wow! A Cassette tape in 1970? 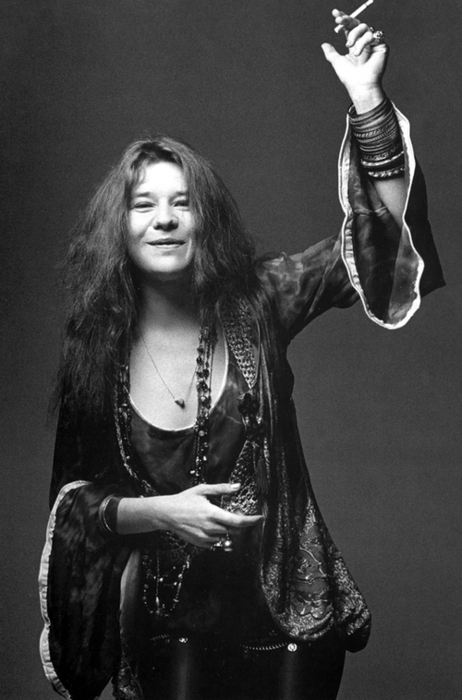 Janis was so amazing and I had a longing to be Janis myself. After I married Paul McCartney.